Changes in climate may have made the largest animal on Earth much bigger than it originally was. Based on fossil records, whales were apparently much smaller millions of years ago. But a new study published in the journal Royal Society B says changes in the climate affected the main food sources of many whales, krill and small fish. 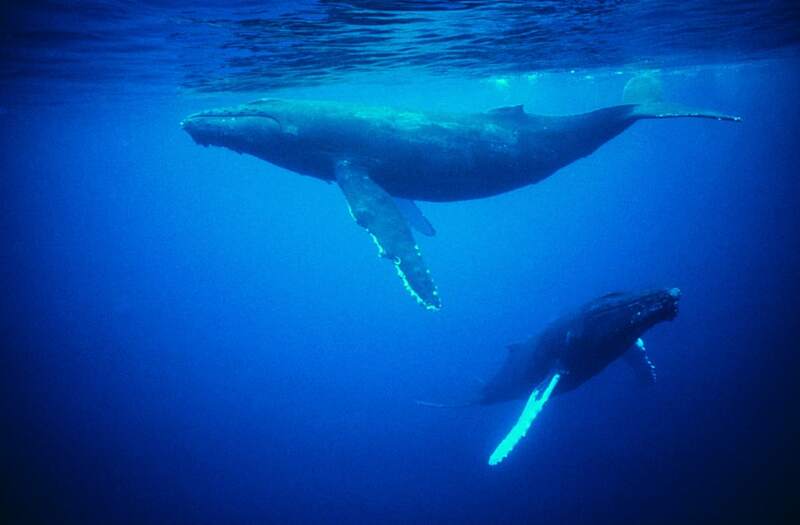 The change in climate made the krill pack together in small areas and whales such as Humpbacks and the largest whales, Blue Whales, that use baleen to filter out the krill, simply out-ate their smaller cousins. Jeremy Goldbogen, a researcher from Stanford University, says there could be another reason these whales got so big. He says that at the time these whales began to grow larger, the ice ages were beginning. With that came upwelling that pushed water packed nutrients and food from deeper waters right up for the whales to feast on and grow really big, really fast. With today's current changing climate, Goldbogen's next question is "are whales still getting bigger?"